Open Instagram, and you can’t scroll far without seeing someone you follow promoting a brand. It might be a reality star hawking the latest wellness cleanse. Or a random person from high school living some fantasy life. Now that we all have access to social media and low-cost editing tools that transform basic pics into curated content, does that mean influencing is a potential job opportunity for everyone? It depends. Becoming a social media influencer doesn’t happen overnight. And, it’s more work than you might think. With that in mind, here are the things you need to do before you can even dream of becoming a social media influencer. We’ll say this from the outset: starting from zero is not realistic. 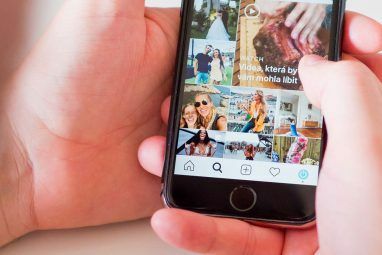 Instagram hobbyists who manage to pivot to influencing already have high engagement rates and a strong aesthetic well before brands come knocking. Before you start creating stories and pitching brands, you need to look at where you can improve your efforts. If you only have a few hundred followers, now is not the time to start approaching your favorite brands with pitches. Your potential audience size is low, and you don’t offer brands a good return on their investment. The first step is to get more followers on Instagram This Is How You Gain Followers on Instagram This Is How You Gain Followers on Instagram It's time to upgrade your Instagram strategy with our hacks that will help you become an Instagram star. These 10 steps will help you get followers on Instagram right away. Read More . Promote your dedicated hashtag on other channels. Interact with top influencers in your niche. Followers are great, but they don’t represent the full picture. Over the past couple of years, brands have benefitted from working with niche influencers—they cost less than Insta-celebs and reality stars and tend to come with higher engagement rates. The reason being that these smaller influencers can focus on creating authentic content that connects with an audience. They’ll have the time to respond to comments. And from a brand perspective, they drive more value because people are most likely to buy products based on recommendations they receive from a trusted source. Calculate your engagement rate by finding the average number of likes and comments per post, then dividing that number by your total number of followers. Multiply by 100 to get engagement as a percentage. All businesses have a niche. If you’re considering monetizing your account, you need to have an angle. What are you passionate about? Is it travel? DIY or wellness? Don’t attach yourself to a “trending” niche just to ride the momentum. Define your passion, then develop your social personality around that broader category. Here, you’re looking at four very different brands that all fall under the fitness umbrella, but each brings a different flavor to the table. Popflex, for example, has a feminine, friendly look. Compare that to Lululemon’s minimal gray-scale take on yoga. Both brands might cater to someone who does yoga or pilates, but the colors, filters, and photography style speak to different audiences. With that in mind, it’s important that you review your feed to get a sense of which colors and filters best represent your brand. As you scroll, you should delete anything that doesn’t fit the brand. For example, if your Instagram is focused on vegan recipes, the odd outfit of the day picture or some random meme won’t gel with the overall feed. Once you have a niche, it’s time to start thinking about your accounts as a business asset. We talked about getting a sense of where your accounts are at (an audit of sorts) and now, we’ll move on to getting your account in top form. These are the key areas you’ll want to work on before you start trying to ramp up traffic. Otherwise, you risk attracting the wrong people or making a poor first impression. Keep it simple here. Your bio must explain who you are, and what you do, and you should throw in a little personality too. That’s a tall order for 150 characters. Take, for example, Marie Forleo. Her bio describes what she does and even leverages Oprah for some social proof. Another example is Gavin Strange, who introduces himself, rattles off a few accomplishments, and punctuates the space with emoji. By following people with similar interests—no matter what level—you’ll most likely find others interested in what you have to offer. As people start commenting on your photos, be sure to respond to them. 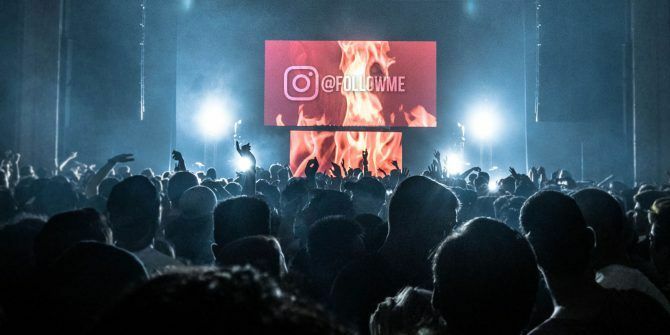 Brands actually value engagement over massive followings and responding to your followers is a great way to build trust and loyalty as you carve out your digital identity. In addition to following, commenting, and responding, use hashtags to your advantage. Because hashtags are searchable, it’s a good idea to take note of which hashtags your followers—and those you follow—are using in their posts. Get in front of a different but closely related audience. Because great content and relevant hashtags aren’t enough to catapult you to internet fame. Follow other influencers in your niche to see what kind of content they’re posting and what seems to resonate with the audience. Take it a step further and engage with their followers; these people are your target audience, too. The reality of influencing is it’s all about the business. In the early stages, your goal is to spend time gaining visibility and building relationships. Making the transition from engaged user to bonafide influencer depends on brand deals. Make sure you find brands that make sense for your niche. Start by looking at brands you admire and look at the “suggested for you” accounts at the top of your feed. Brands with fewer than 100k followers are a good place to start your outreach efforts. 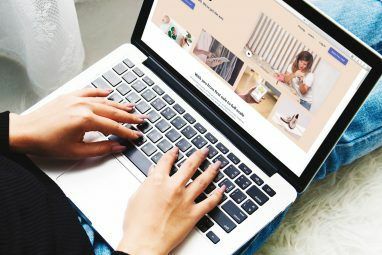 These accounts fall into a sweet spot where you’ll gain some exposure by working with them, but they’re not so well-known that you’ll be competing with too many other influencers. What channels does the brand use? Are they doing any influencer marketing already? If so, who are they working with? Why do you want to work with them? Are there specific products you’d most like to pitch? Is there an email you can use to contact someone? Record your findings on a list. A Google Sheet with multiple columns works great, and it’s free. Brands only want to work with people who have active, engaged audiences. So, it’s important to understand that you need to be able to produce some numbers. Brands will want you to produce some information about your audience: average age, location, gender, interests, as well as things like follower count and engagement rates. The more information you have, the easier it will be to show concrete examples of where you can add value. During your research phase, you should have put together a list of brands and contact details, along with any notes regarding why you want to work with them. Now, it’s time to take that research and turn it into action. Introduce who you are and what you do. Explain who your audience is in terms of interests and demographics. Highlight what you like about the product (don’t pitch brands if you don’t like their products). Give them an idea of what you can offer the brand: what will they gain by working with you? We can’t say this enough; your pitch needs to get right to the meat. The person who reads the email likely receives hundreds of emails a day, and however well they manage their inbox Let Outlook Rules Manage Your Email Inbox Let Outlook Rules Manage Your Email Inbox Clever alerts and filters can help you stay on top of your email inbox. Outlook desktop and Outlook.com offer a feature called "rules" and we'll show you how to set it up. Read More , they won’t have time to read multiple paragraphs about why you love fashion. Before you even think about approaching brands, some light housekeeping is in order. Make sure your profile reflects the kind of content you want to be known for and delete the posts that don’t quite fit the bill. Spend time talking to followers, connecting with other influencers, fans, and brands. Engagement isn’t just about raking in the likes and comments, it’s about building trust with a community. People are attracted to authenticity, so it’s vital that you don’t compromise your values just to land a paid brand deal. And remember, success won’t come overnight. Are you ready to kick your influencer career into high gear? 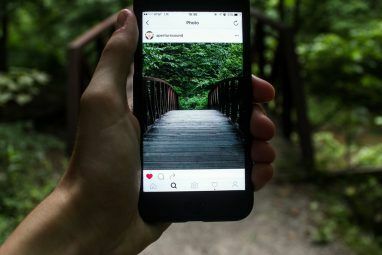 Then consider these ways to make money on Instagram 7 Ways to Make Money on Instagram 7 Ways to Make Money on Instagram If you have a big Instagram following it's possible to make money from being popular. Here are ways to make money on Instagram. Read More .